HOLYOKE- Elaine R. (Corbeil) Desjeans, 79, passed away peacefully on Thursday, March 14, 2019 at Mt. Saint Vincent. She was born in Holyoke on July 16, 1939 a daughter of the late Arthur and Anna (Boch) Corbeil and was educated in the Holyoke Schools. 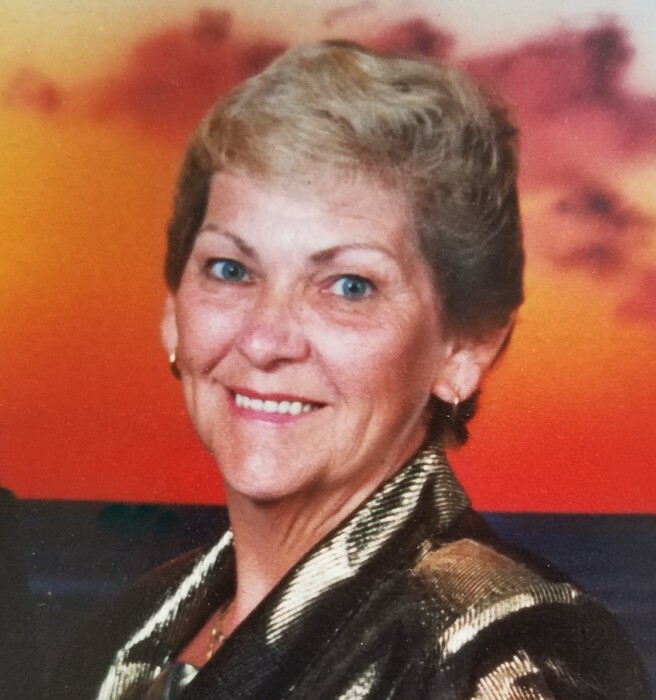 Elaine worked for Ampad for many years and enjoyed traveling to Aruba, camping, spending time at the Knights of Columbus with her husband and loved pets, especially dogs. She was predeceased by her beloved husband and best friend of over 59 years, Francis L. “Colonel” Desjeans on July 9, 2018. She is survived by her four loving children; Patricia A. Gauthier and her husband Richard of Holyoke; Glenn F. Desjeans and his wife Karen of Chicopee; Paula Y. Hooper and her husband Richard of Cape Coral, FL and Daniel L. Desjeans and his wife Shawnna of Chicopee; her five grandchildren, Courtney Fay and her husband Andrew, Ashley Oquendo and her husband Samuel, Christopher Desjeans, Joshua Hooper and Allyson Desjeans and her cherished great grandson, Caleb Oquendo. Elaine will be missed by her extended family most especially her nieces, nephews, cousins and some dear friends. In addition to her parents, she was also predeceased by her cherished infant son, Francis L. Desjeans, Jr who was called home on September 16, 1966. Visiting hours will be held on Monday, April 1, 2019 from 11AM -12:30PM at Messier Funeral Home, 1944 Northampton St., Holyoke with a brief funeral home prayer service at 12:30 and conclude with a dual interment of Elaine’s and Francis’s ashes with Rite of Committal and Burial Prayers at 2PM in the chapel of The Massachusetts Veterans’ Memorial Cemetery, 1390 Main St., Agawam, MA 01001. In lieu of flowers, memorial donations in Elaine’s name can be made to Alzheimer’s Association MA, Western Region, 264 Cottage St., Spfld, MA 01104. Please visit www.messierfuneralhome.com for more details.